The Mizoram Government is exploring possibilities to tackle and check on growing influx of illegal migrants from neighbouring Bangladesh. A district-level special task force committee has decided to create a mechanism for identifying and deporting undocumented Bangladeshi immigrants from the border areas of the state. The committee held a meeting, chaired by district Deputy Commissioner Benjamin Lalzama, at south Mizoram’s Lunglei district to discuss ways to tackle the influx of immigrants, an official statement said. Top police officers, representatives of the Border Security Force (BSF) and leaders of civil societies were present at the meeting, it said. The meeting extensively deliberated on putting maximum efforts to identify and deport illegal immigrants to their native places. 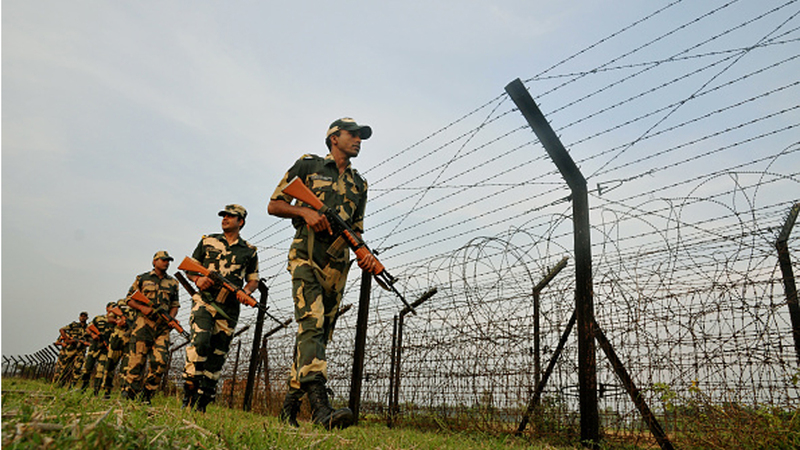 Officials of the BSF also highlighted the problems and difficulties faced by them as regard to checking influx of illegal immigrants from Bangladesh. The meeting also constituted a sub-division level special task force involving Tlabung BDO, MAP commander, president of VCs, YMA and Young Chakma Association to look into the issue of illegal immigration which will be headed by Tlabung sub-division SDO (Civil). Officials posted along the border areas were instructed at the meeting to take care while issuing birth and residential certificates to ensure that no foreign nationals were in possession of such documents, the statement added. Mizoram has been facing a severe problem due to unchecked flow of Bangladeshi nationals, mainly from the Chakma community. Mizoram shares 318 km of international border with Bangladesh. Civil bodies, NGOs and other organizations working for the indigenous people have been repeatedly urging the governments at the Centre to look into the matter of illegal immigration from Bangladesh into the State and take concrete steps to stop the same, but the repeated appeals have not yielded any positive result so far.